There are different perspectives on the role of free tickets at Fringe Festivals and it can be useful to clarify to yourself if and why you are going to give out “comps”. It is standard practice to release free tickets to the press and to promoters and Festivals such as Edinburgh have their own systems for booking out tickets to the press and to promoters. 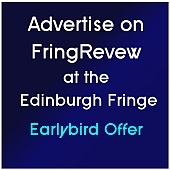 For example, at Edinburgh, if a press publication has official press accreditation, it can book tickets for shows directly through the Fringe office. The number of tickets available is usually limited and then they can quickly run out. Larger venues have their own press offices and press officers and also handle free press and promoter tickets themselves alongside the Fringe office. The number of these tickets may also be limited and some press offices will ask performing companies before releasing press tickets, others will assume it is for them to make the call on behalf of performers. For performing companies it is good to know what the systems in place are for particular Fringe festivals. Some venues will charge the performing companies the cost of free tickets released to press and promoters over and above any agreed quota. The key thing is to agree in advance what the system is going to be. In my view, performing companies should seek as much freedom as possible from venues to promote their shows in whatever way they see fit. But performers cannot take that freedom for granted and need to be absolutely clear going into a Fringe festival. Now, one perspective is that, beyond any agreed official press tickets, no other free tickets should be released on any account. This “freebie-ing”, according to this viewpoint, diminishes the value of the show, cheapens it in the eyes of the public and eats into profits. Even if a show is not selling well, giving out freebies is not seen as the right way – we need to promote better, or ride out the storm until our audience builds. Giving out freebies is seen as a sign of desperation and can depress the energy of a cast who may well be flyering and giving out free tickets on the street. Companies also want to keep control of which press are coming to their show and keep their press tickets “close to their chest”. The advantage of this stance is that you can be sure that everyone who is in the audience has paid, wants to be there enough to have paid, or is a member of the press who you want to be in. The disadvantage is that you may be being bloody-minded and are playing to empty houses and losing the benefit of audience members with free tickets telling others about your show. People often respond well to the gesture of a free ticket. The compromises include two for one, buy two get one free and other special offers. I’ve met companies who never give out free tickets on the street at the Edinburgh Fringe. They want everyone coming to value their show by buying a ticket. To do this you have to have a big level of faith in why you are up in Edinburgh. If it is purely for the value of the art and to have it valued through the gesture of buying a ticket, then this will be your stance. Of course, no freebies can also maintain the value and mystique of a show in the eyes of potential audience. But this can also have the opposite effect at festivals where there are thousands of shows, many offering free tickets. Your show might just be ignored by the public. Controlled release of tickers through apps such as Theatre Ninjas is proving more and more popular. Here you can control the number of free tickets released and allow others to manage the process for you. Use of social media such as Facebook pages and Twitter are also ways to release tickets without having to stand in the street. A second perspective is based on the idea that free tickets are the best way to build audience. At one extreme the “Free Fringes” use Fringe Festivals to attract audience unencumbered by ticketing at all. We are here to showcase new material, to experiment, or to simply entertain for its own sake. Others have an ideological aversion to the link between art and money and seek “funding” for their work through other means than “retailing”. Free shows on the fringe have launched and bolstered many a career in comedy and theatre. Free tickets also increase accessibility for those who might not usually come to a show. So, in this perspective, tickets are free for ideological reasons. The disadvantage at Fringe festivals is that you can get a less committed audience, some of whom surf free shows without paying them the attention they might deserve. Comedy shows can get people only coming for half of the show, and theatre shows can get audiences who haven’t really chosen that wisely what they really want to see. But it isn’t usually the case and many free fringe venues run themselves with the same or even greater care and professionalism than ticketed venues. Free of the need to raise income through the box office the performer is free of the pressures of “trade” and can get on with the art and performance! There is a danger that free can be associated with lower quality. This can depend on the reputation of the venue you are playing in. Some venues are clearly comedy venues with a “sold as seen” ethos. Others take more care with their programming. Free shows will obviously not earn you direct revenue, but there is a chance to seek audience donations on the way out or later online or via an email or postal mailing list. This is the pragmatists’ view point. Here performers have tickets for sale but have recognised that fringe festivals are often too many shows chasing too few audience. They already have a promotional strategy in place to release free tickets, during preview week, on days when sales are slow (Mondays and Sundays for example) or towards the end of a fringe if things tail off. Flyerers are trained and ready with their freebie pitch, they have twitter strategies and are using free ticket apps such as Theatre Ninjas. Here the aim isn’t only focused on ticket revenue, but on audience size. The aim here is to get as many people in to see the show as possible, especially early on in order to get word of mouth recommendation kicking into gear. It is even possibly to fund raise for and budget a show well in advance including a certain number of free tickets accurately into production costings. Flyering becomes skilful as we target the right people – our target audience. We offer free tickets online and on the street to people we want to come. For children’s shows we go up to families. We flyer the queues of certain shows that relate to ours and also the people coming out of shows. We make the people taking free tickets feel relaxed and “ok” about taking them and they are given out with authentic enthusiasm and not desperation or even irritation. Here freebies are a strategy, which can be carefully done to get our shows on the map. We try to link ticket to people texting their reviews to sites such as Love Fringe or Fringe Biscuit (texted and tweeted reviews). There is a danger here that we can end up being seen as a show not worth seeing, a desperate show, giving out free tickets because no one is coming for good reason. All three perspectives can work and its up to your own values and reasons for being at the Fringe how you proceed. Overall, free tickets can work in favour and against a show. So, ensure you chose the approach that is right for your show. Visit our full performers’ page. This entry was posted on Wednesday, July 4th, 2012 at 8:33 am and is filed under Advice For Performers. You can follow any responses to this entry through the RSS 2.0 feed. Both comments and pings are currently closed.